In 2009, game developer Rocksteady Studio released Batman Arkham Asylum, and everyone thought that it would just be another failed attempt at making a superhero game. This game however, was different. This game was written by veteran Batman writer Paul Dini, who has helped write many different Batman story lines, such as Batman: The Animated Series. The game turned out to be an excellent representation of Batman. Unlike any other superhero game made before it, this one became a success, went on to win multiple game of the year awards and it even made it into the Guinness Book of World Records for ‘Most Critically Acclaimed Superhero Game Ever’. In the game at a certain point you come across some plans for something titled “Arkham City”. Nobody really knew what it was at the time, but it ended up being a little hidden message telling gamers that there were plans for a sequel. Then last year, the sequel was officially announced. Rocksteady has kept most things quiet about the game, but they have released a few trailers showing what it is going to be like. In the trailers are shown some new features that will go into the game. For instance Batman now has the ability to glide for even longer distances and he can now swoop down on enemies, unleashing devastating blows. All of the gadgets that Batman had the first time around are coming back, plus two new ones announced so far. These are smoke bombs, which will help with alluding enemies and a broadcast tracer to help track them. As of now the game looks great and the villains look to be even more intriguing than that of the first game. The original stayed true to the comic book Batman that we all love, and I do not see them changing that at all. 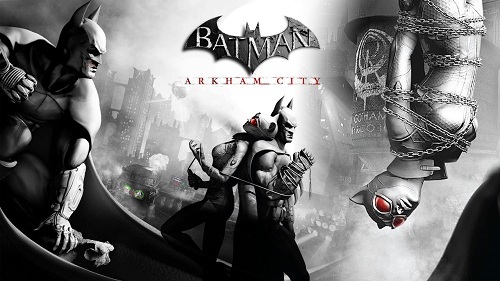 Batman Arkham City is scheduled to be released in October of this year. That’s not a review. That’s just an advertisement. IGN etc have full reviews of beta work, artwork etc. Specially since this has been known for over a year that it was coming. Kinda has me scratching my head why you would waste time posting this in the first place? Slow tech day?